PURE-COL is a very unique high quality collagen capsule which uses an amino lock procedure to ensure maximum absorption into the body. This special collagen supplement is a natural source of absorbable collagen protein that can feed the body during sleep. is formulated with pure collagen. This special formula allows the protein to be bio-available, ready to assist the body in the production of good tissue. 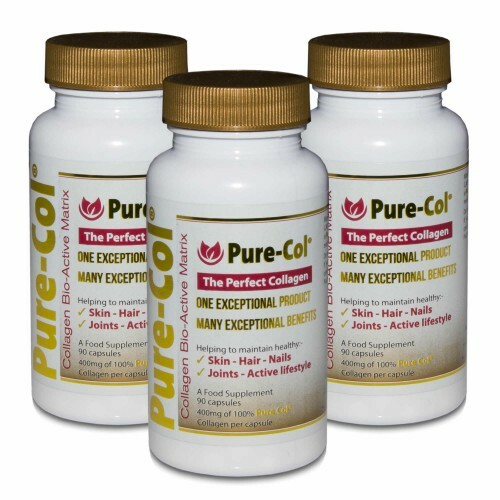 The manufacturers have been working with collagen for over 20 years and PURE-COL has become the finest of all collagen products available today with the big advantage of a long term track record.